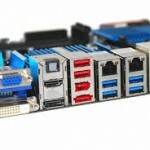 A Motherboard (alternatively known as the mainboard, system board, baseboard, planar board or logic board, or colloquially, a mobo) is the main printed circuit board (PCB) found in general purpose microcomputers and other expandable systems. It holds and allows communication between many of the crucial electronic components of a system, such as the central processing unit (CPU) and memory, and provides connectors for other peripherals. 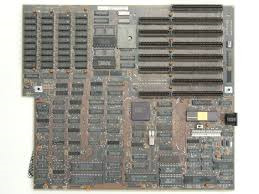 Unlike a backplane, a motherboard usually contains significant sub-systems such as the central processor, the chiset’s input/output and memory controllers, interface connectors, and other components integrated for general purpose use. Motherboard specifically refers to a PCB with expansion capability and as the name suggests, this board is often referred to as the ‘mother’ of all components attached to it (interface cards, sound carads, network cards, hard drives etc). Prior to the invention of the microprocessor, a digital computer consisted of multiple printed circuit boards in a card-cage case with components connected by a backplane, a set of interconnected sockets. In very old desgins copper wires were the discrete connections between card connector pins, but printed circuit boiards soon became the standard practice. The central processing unit (CPU), memory and peripherals were housed on individual printed circuit boards, which were plugged into the backplate. The S-100 Bus of the 1970′s is an example of this type of backplate system. During the 1980s and 1990s, it became economical to move an increasing number of peripheral functions onto the motherboard. In the late 1980s, personal computer motherboards began to include single IC’s capable of supporting a set of low-speed peripherals: keyboard, mouse, floppy disk drive, serial ports and parallel ports. By the late 1990s, many personal computer motherboards included consumer grade embedded audio, video, storage and networking functions without the need for any expansion cards at all. Only higher-end systems for 3d gaming and computer graphics typically retained the graphics card as a separate component. Business PCs, workstations and servers were more likely to need expansion cards, wither for more robust functions, or for higher speeds, those systems often had fewer embedded components. Laptop and notebook computers that were developed in the 1990s integrated the most common peripherals. This even included motherboards with no upgradeable components, a trend that would continue as smaller systems were introduced after the turn of the century (like the tablet computer and the notebook). With the continuous change in technology, computers are disposed of and upgraded on a regular basis by both individuals and businesses. This continual change generates a huge amount of waste computers which need to be recycled, with the least impact on the environment. The computers can be stripped down and all of the internal components removed (motherboard, graphics card, network card, memory, CPU, hard drive). These components can be broken down further: Batteries removed, metal frames dismantled etc and then the remainder of the components can be refined for precious metal recovery. Computer components contain an array of precious metals (Gold, Silver and Palladium). They also have a high percentage copper content. All of these metals can be recovered through a refining process, allowing the components to be fully recycled and no waste ending up in landfill. 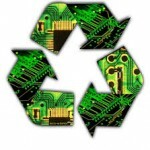 AWA Refiners Ltd have been recycling and refining computer boards for over 25 years. Hundreds of tons per annum pass through our site and are fully recycled (100%), this makes AWA one of the leading processors of printed circuit boards in the Uk. AWA Refiners Ltd are interested in purchasing any quantity of motherboards. Whether the parcel is a few kilos or 5 tons+ you will be offered the same level of customer service. 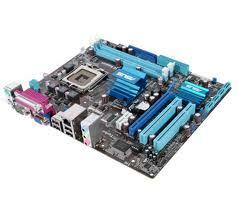 The motherboards are valued on-site and payment is made swiftly. 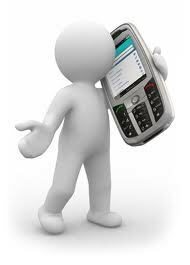 A collection service is available throughout the entire Uk (if required). All motherboards which enter the site at AWA are fully dismantled and shredded, therefore destruction certificates are available for any load.